American Symbols - Students examine images of national symbols and discuss their importance. 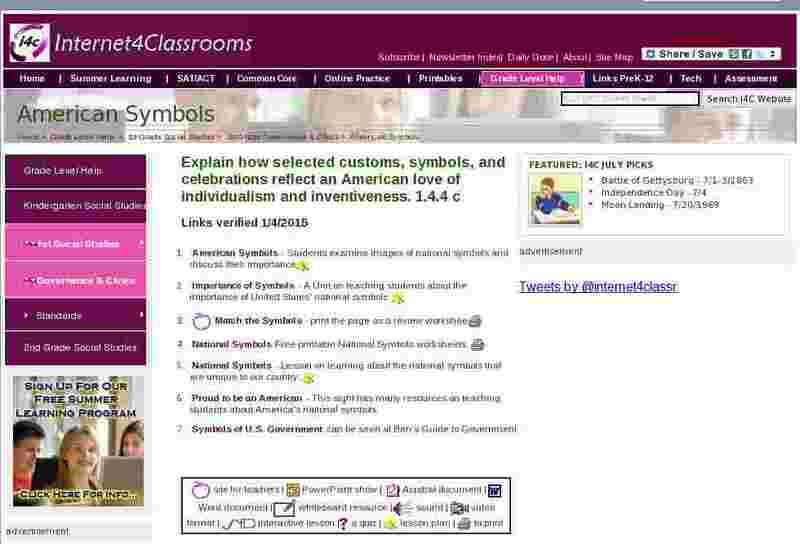 Importance of Symbols - A Unit on teaching students about the importance of United States' national symbols. National Symbols Free printable National Symbols worksheets. National Symbols - Lesson on learning about the national symbols that are unique to our country. Proud to be an American - This sight has many resources on teaching students about America's national symbols.